Polar Trappers (film) Donald Duck cartoon; released on June 17, 1938. Directed by Ben Sharpsteen. Goofy tries to trap a walrus but echoes and icicles in a cave are his downfall. 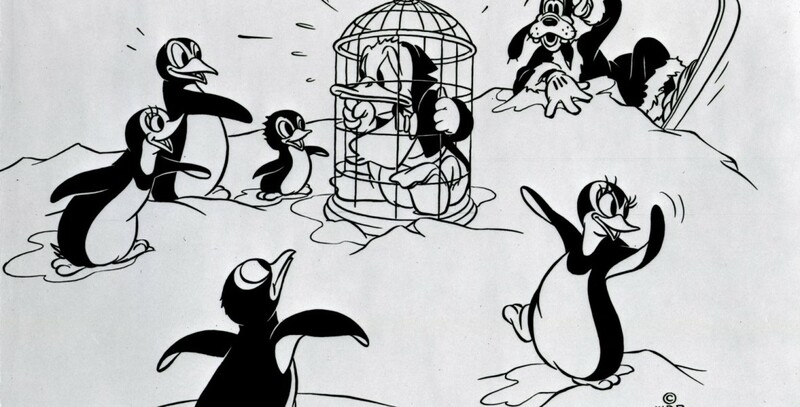 Donald uses Pied Piper tactics to try to trap a colony of penguins, but ends up destroying the trappers’ camp.